Located very close to the Pallava Beach, Silversands Beach Resorts is a popular vacation destination offering comfortable and holistic accommodation choices to travelers visiting Mahabalipuram. The resort is surrounded by natural beauty and faces the azure beach making it an ideal spot for guests to relax, unwind and recharge themselves during their holidays. Patrons are offered complete accommodation solution in the form of Pool Villas, Super Deluxe Villas, Garden Villas, Standard Villas and Deluxe Rooms. 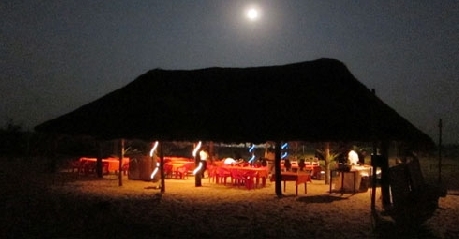 The categorization is done to meet different requirements of resort’s diverse clientele. All the rooms are designed by experts with elegant décor and are fitted with state of the art modern amenities that will pamper guests. To cater to food related requirements of the guests, Silversands Resorts has developed an onsite multi cuisine restaurant that serves delectable vegetarian food from Indian and international platters. Patrons can also indulge in number of adventure activities and beach sports like Obstacle Course, Rappelling, Rock Climbing, Shooting, Tug of War, Beach Volleyball, Catamaran rides, Beach Football, Frisbee, Darts, Beach Cricket, snooker at the open-air game shack (chargeable) and others. In addition to these, the guests can also avail other facilities and services like travel arrangements, laundry service, car on rental facility, sightseeing arrangements, banquet hall or conference hall and doctor on call facility. 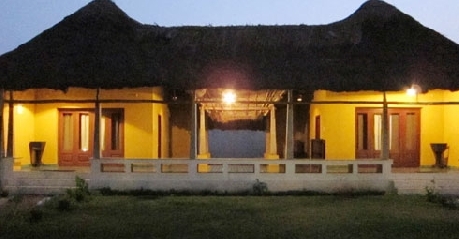 Pool Villa is the best accommodation option available at Hotel Silversands Beach resort in Mahabalipuram. These villas are designed as a holistic stay option for guests, which provides for all the needs that clients might have. Spread across vast area, the Villa faces the azure swimming pool, which fills the room with delightful charm and aura. Pool Villa is specially designed by expert decorators and designers keeping in mind the beautiful surroundings and in a manner that complement them. The décor is kept very simple yet elegant in its own way. The interiors are inspired by local culture and lifestyle of people along with certain contemporary design styles. On the front of amenities as well, the Pool Villas offer the best of practical comforts and indulgent luxury to keep guests satisfied and pampered during their stay here. The main among them include well stocked refrigerator, air conditioning, color television with satellite channels, private attached bathroom, premium bath toiletries, round the clock supply of hot and cold water, plush bed, seating unit and a wardrobe. All these amenities make Pool Villa an ideal accommodation choice for small families and couples. Pamper yourself with best of indulgences and premium comforts, by choosing to stay at the Super Deluxe Villas available at Hotel Silversands Beach Resorts in Mahabalipuram. These villas are aimed at the leisure guests, who value their luxuries and indulgences. Keeping their tastes and preferences in mind, expert designers have carved out these villas. The décor is tailored by fusion of contemporary design theme with classical elements. The interiors have simplistic charm that reflects the lifestyle and culture of the local people. Equipped with all necessary amenities and luxuries such as well stocked refrigerator, air conditioning, color television with satellite channels, private attached bathroom, telephone with intercom facility, shower cubicles with rain shower, sit out verandah area, premium bath toiletries, round the clock supply of hot and cold water, plush bed, seating unit and a wardrobe; the Super Deluxe Villas are sure to impress both local and foreign guests. 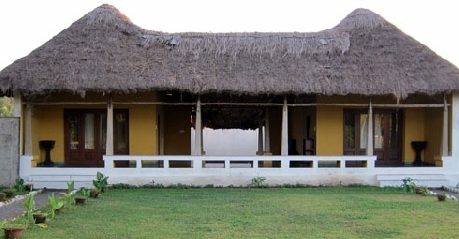 Revel in the lap of nature in all its glory by choosing to spend your vacation at the Garden Villa available at Silversands Beach Resort, Mahabalipuram. The villa is surrounded by scenic greenery and faces the manicured garden that instills simplistic charm and elegance in them. The Garden Villa is designed keeping mind the beautiful view of the surroundings and patrons will appreciate use of eco-friendly material in the interiors. Interiors are kept quite simple and are adorned with artistic paintings and cultural elements that fill it delightful charm. The Garden Villas offered here are not only good to look at but are also a very practical stay choice. They are equipped with all necessities and luxuries to keep guests pampered and satisfied during their stay here. The main among them are, well stocked refrigerator, air conditioning, color television with satellite channels, private attached bathroom, telephone with intercom facility, shower cubicles with rain shower, sit out verandah area, premium bath toiletries, round the clock supply of hot and cold water, plush bed, seating unit and a wardrobe. Looking spacious, comfortable and private accommodation choice in Mahabalipuram, then the Standard Villas offered by Silversands Beach Resorts will be perfect for you. 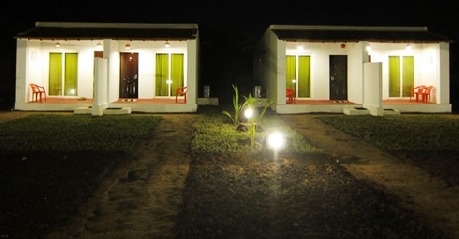 These are simple villas aimed at offering holistic stay choices to patrons who need basic necessities and amenities. The villas are structured in unique manner that opens up lot of space on the inside for patrons. They are also provided with elegant décor and interiors that light up the place with their humble charm. As far as amenities are concerned, the Standard Villa is provided with well stocked refrigerator, air conditioning, color television with satellite channels, private attached bathroom, telephone with intercom facility, shower cubicles with rain shower, sit out verandah area, premium bath toiletries, round the clock supply of hot and cold water, plush bed, seating unit and a wardrobe unit. Budget pricing and no-nonsense setup of Standard Villas makes them ideal for couples and solo travelers. Enjoy the lovely beach-side and azure ocean by choosing to stay at the Deluxe Rooms offered by Hotel Silversands Beach Resorts in Mahabalipuram. These are simple rooms that are aimed at offering private and comfortable accommodation choice to business and solo travelers to this beach town. Designed by expert designers and decorators keeping in mind the surrounding beauty as well as the needs and preferences of guests; the Deluxe Rooms are sure to please both local as well as foreign travelers. The décor of the Deluxe Room is tailored by fusing contemporary design themes with local cultural elements. Apart from this, they are also fitted with best of amenities such as well stocked refrigerator, air conditioning, color television with satellite channels, private attached bathroom, telephone with intercom facility, shower cubicles with rain shower, sit out verandah area, premium bath toiletries, round the clock supply of hot and cold water, plush bed, seating unit and a wardrobe. If you are a foodie, who likes to try exotic dishes from different regions of India and the world, then the multi cuisine restaurant at Hotel Silversands Beach Resort will surely please you. The diner is located on the premises of the hotel and offers delectable food to guests right in the comfort of their hotel. The restaurant specializes in vegetarian food from Indian, Chinese and continental cuisines along with several local delicacies. The local delicacies are very popular among patrons because of their taste and unique aroma. They are prepared as per traditional recipes using best spices and herbs to offer the best to guests. Furthermore, the seating arrangement is very comfortable and décor of the diner is classy making it an ideal venue for both formal as well as casual dining occasions. The décor of the restaurant is further uplifted by the mesmerizing view of the azure ocean and majestic beach. Patrons have been also very appreciative of the high hygiene and cleanliness standards of this place as it inspires trust and confidence.